Installing clipless pedals on your bike is nothing close to rocket science. I have been a biking enthusiast since I was 7. For the larger part of my life since then, I have done most of my bike tune ups myself. This includes changing my bike’s pedals. For me, this is one of the easiest bicycle tasks you can do yourself. Professional bikers agree that swapping your existing pedals for clipless pedals can greatly improve your cycling. Just in case you’re not sure what they are, clipless pedals are pedals that do not have toe clips on them. This guide is going to teach you how to install clipless pedals on your bicycle so that you can continue to enjoy the best experience cycling offers. The ease in installing your pedals begins with the tools you need. All you require is a Wrench (for tightening and loosening), a piece of dry rag if you need to clean up some grease, some lubricant (in case you encounter some difficulty) and the new set of pedals. Mount your bike on your usual repair stand to have a good control of the situation. This will give it a lifted position and make it convenient for you. Be sure to place your chain on the largest ring. If the wrench ever slips and your knuckles come in contact with the ring, the chain will be there to reduce the amount of injury you’re likely to sustain. The chainring teeth are sharp enough to cause a deep cut, so you should be careful. Rotate the bike until you get a good access to the pedal you want to take out first. Locate the bolt and loosen it using the wrench. To do this, turn the wrench counterclockwise to loosen it from the crank arm. Most kinds of the wrench, whether a hex wrench or any home wrench, should do this. Get a good position on the pedal, preferably 90 degrees. Be sure you’re holding the wrench with one hand and the other pedal with the other. This will prevent it from just rotating without loosening. Bikes are designed in a way that the pedal bolt tightens as you pedal. While the usual counterclockwise would work on the right pedal, it doesn’t on the left. To loosen the left pedal bolt, turn the wrench to the right (clockwise). In case it gets pretty tough to loosen your pedals, maybe as a result of all the torque your legs apply to them, or as a result of rust, you might need to be a little patient and just continue to turn your wrench. Applying some lubricant, like the WD-40, and waiting for a while, will also make it easier for you to loosen. First, you must ensure there is no grit on the part of the crank arm where you have just taken off the old pedals. Clean it up and lubricate the threads with some oil. This will keep it ready for the new pedals. How to Lubricate your Bike- What Part Needs Oil? To do this, you must identify each pedal by looking for L” and R” markings on them. If they do not contain such markings, identify them with pedal thread direction. Left-threaded pedals slope upward to the left while right-threaded pedals slope upward to the right. Find a good mechanical position with the wrench. Hold wrench with one hand while holding the other pedal with the other hand. This provides the lever for the wrench. Slowly thread the pedal into the hole of the crank arm. The pedal should go in smoothly and maintain the right position. Ensure that no cross-threading occurs when you do this, as this can cause great damage to your pedal and crank arm. Also, be sure to tighten them tightly. Even though pedaling will do justice to any further tightening required, it’s better to be sure. You would know if you’ve done it the right way. The next thing to do is to go on a test ride with your new pedals. This will tell you if you have done a good job or not. 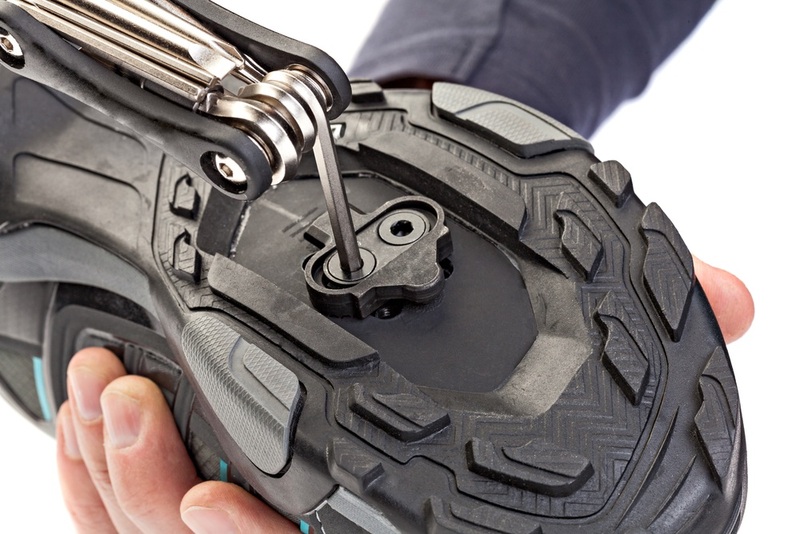 For a clipless pedal, cleated bike shoes are what you need. I imagine you have them already even before attempting to buy clipless pedals. It is best to do this where there is low traffic. This gives room for error, especially if it’s your first time using clipless pedals. Furthermore, just in case something went wrong with your installation, a low-traffic environment, like a back lawn or a parking lot, will afford you the space to carry out a quick fix. You can simply pull the brakes slowly and park on the side. Perhaps, you’re the bike king/queen of your neighborhood, conquering tough terrains and pulling up stunts. Yes, you’re a decent enough bike dude, but if you want to go beyond decent, you should consider switching to clipless pedals. I have already walked you through how to install clipless pedals. Perhaps, I should tell you why you should use them. A clipless pedal has a dual function. First, it comes with a locking mechanism. Second, it has a cleat that locks in with your bike shoes. You may be wondering why they are called “clipless” if they’re supposed to “clip into” your shoes. It’s simple. Only pedals with toe clips are called clip pedals, even though it hardly makes sense. They don’t clip into anything. The ones that actually clip are called “clipless”, probably because that name is already taken. So, What Do Clipless Pedals Offer? Safety is always a priority when it comes to cycling, and if any part of it gives you better security, that’s what you should get. With clipless pedals, your feet are locked in for when you need to bunny-hop over an obstacle. It is also best to keep your feet in place when you ride into an accident, say a stationary vehicle. Instead of flying off to the ground, your feet help to keep you still. These pedals also afford you better control and balance. You can freely move your frame as you want without your legs coming off. You can avoid accidents by pushing and pulling with ease. Also, accidents that often occur when your feet come off your bike’s pedals are erased & when you use these pedals. Clipless pedals help you engage the flexors around your core and hip. You can power up and down when you need to make a downward stroke. With regular pedals, the only kind of pressure you can apply is on the down stroke. However, with clipless pedals, you can stomp down, sweep back and pull up on both feet. This is because your feet are firmly fixed on the pedals. Also, by letting you engage your arm string, this allows you to apply more power to every stroke you take. You can pull up and push down with equal strength simultaneously, giving you much more space than regular pedals. Clipless pedals also afford you better power transfer with the bike’s powertrain. With regular pedals, you’re constantly distracted by the thought of losing hold. Pressure is the only thing that keeps your feet on the pedals. So you constantly need to apply pressure both to keep the bike moving, and keep your feet attached to your pedals. That is not the case with clipless pedals. You can easily let go of the pressure on a recovery stroke and relax your muscles while you focus on just getting your bike moving. Your feet can’t simply fly off when you pedal. Keeps you better secured on your bicycle, with your feet properly locked in. It is more comfortable, as there are no buckle clips holding the top of your toes. Allows you to gain more speed easily as it is easy to power up and down. You can pedal on with less stress, as it affords you much better convenience. Gives you an overall pleasurable ride all day long. The most obvious flaw with the clipless pedal is the fact that it doesn’t give you enough freedom to come off your bike in case of emergencies. Now that you know why you need clipless pedals, and how to install them, it is important to know how to keep them working efficiently. 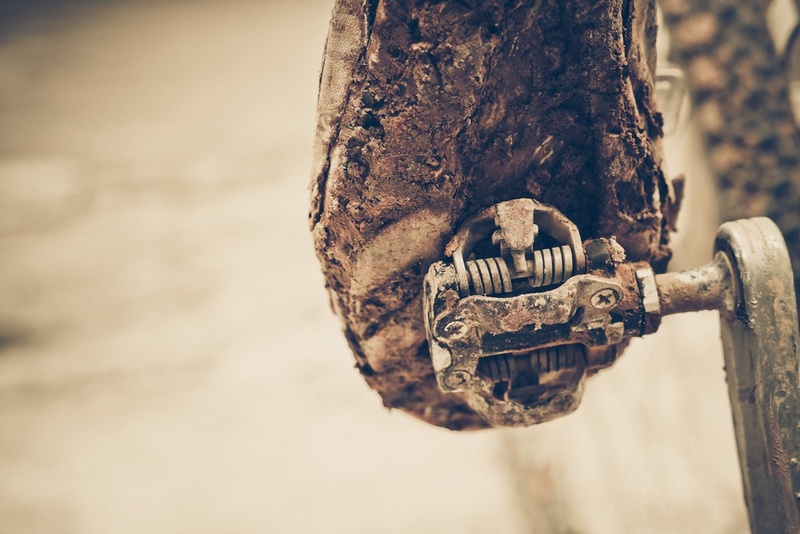 Clipless pedals are built to work with your cleated shoes. You must ensure your shoes are used properly. Walking on soil with your cleated shoes will naturally cause mud to stick under and cover the cleats. When this happens, it will be difficult, even impossible, to get them attached to the pedals. This will also make your cleats wear easily. Even if you do manage to get them attached, it is unlikely that they’re properly fixed. Also, the soil from under the shoes can also move on to the pedals and could cause damage to them. It is best to ride with clear covers in your pockets. So if you ever need to walk, the covers will protect them. In the event of stepping on mud, it is important to take them out as quickly as possible. Not only will this make engaging your pedals difficult, but it can also make your cleats wear quickly. When it snows or rains, it is normal for your cleats to be clogged by snow or mud. Wearing cleat covers will help, but when you do not have those, you can take the mud out by spraying with a lubricant, such as a cooking spray. Clipless pedal parts are made of plastic, steel, or carbon fiber. Using them constantly is bound to wear them out. This might become obvious when you start hearing some squeak- a result of the cleat and pedal back plate rubbing against each other. Applying some lubricant can help quiet the noise, but this is usually a temporary measure. Ensure to keep your cleats and clipless pedals clean and dry. As much as possible, protect them from dirt and liquid. Also, cleaning your steel pedals frequently with oily rags will keep them fresh and keep rust away. However, the most lasting solution to a terribly bad clipless pedal is the replacement. Ensure to buy only quality clipless pedals if you wish to enjoy your cycling experience. This guide has been able to show you how to install clipless pedals. If you follow it carefully, you will have no problem installing your new set easily and without hassles. It is very pleasant when you can save some extra cash. By avoiding your local bicycle shop for something as basic as installing your clipless pedals, you can use that cash for some extra bicycle gear.